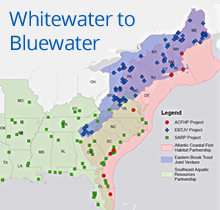 The Whitewater to Bluewater project is a collaboration between the Atlantic Coastal Fish Habitat Partnership, the Southeast Aquatic Resources Partnership, and the Eastern Brook Trout Joint Venture that aims to conserve fish habitat in the eastern United States from the smallest headwater streams to offshore habitat in the Atlantic Ocean. Through the collective effort by these three regional fish habitat partnerships, we will engage partners and improve fish habitat for brook trout, sea trout and other aquatics from Maine to Texas. 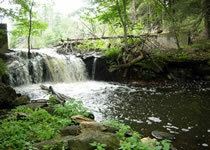 From 2006 through 2012, we have funded 67 projects in 14 states that have enhanced or restored 208 miles of stream habitat, 254 acres of riparian habitat and reconnected 278 miles of stream habitat by removing 67 fish passage barriers. The estimated socioeconomic benefit of these projects is $381 million. Funding for these projects came from the U.S. Fish and Wildlife Service ($2.5 million) and contributions from partners ($13.6 million). 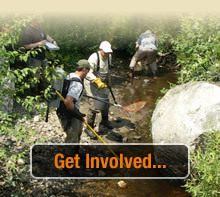 The Eastern Brook Trout Joint Venture (EBTJV) is a unique partnership between state and federal agencies, regional and local governments, businesses, conservation organizations, academia, scientific societies, and private citizens working toward protecting, restoring and enhancing brook trout populations and their habitats across their native range. 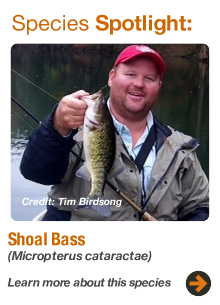 How you can be involved in this conservation effort.